Historic Alex the Great Greek/Persian RP w/ the Gods! No one had seen it coming. A King's passing was never easy, but without much preparation for an heir to replace Philip II's position as ruler of Macedon and master of his empire, the struggle for a successor was steeped in strife, discord and battle both within Greece, and the world abroad. In 336 BCE, Alexander III of Macedon - Alexander the Great - emerged victorious. Surrounded with few allies and unknown enemies, he made the decisions that shaped his destiny, and that of the empire around him. In just five years since his ascension to King, Alexander the Great conquered a majority of the known world with the rest of it ripe for the taking. With conquests spanning 15,000 miles and uncountable sieges, the troops of Macedon first went west to Egypt before taking up position against the formidable Persian Empire. After years' efforts, Alexander at last stands victorious in the Persian city of Babylon. It is a city of peril for the young King: in defiance of his Oracle's words never to settle there, the conqueror has promised rest and respite for his people. It is a seductive city, rife with temptations fitting all tastes from its royal harem to the art and music it offers. Macedonians flock to the region and settle alongside the native Persians seeking to make it their own. The upheaval of the invasion and then Macedonian movement touches everyone. 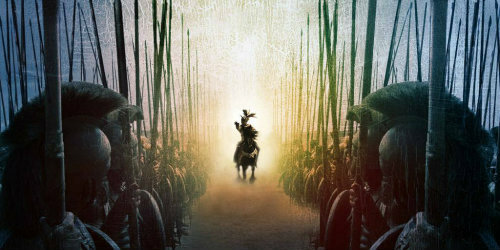 'Alexander the Great' is a name upon everyone's lips. Even the deities have become involved in the struggle. The Greek pantheon's influence is spread thin with Alexander's empire growing ever larger. Struggling to retain the worship of their Greek heroes and civilians, they are challenged by the younger Persian Gods who seek to lay claim to those swelling the population of their own territories. Always dreaming of outdoing his father, of surpassing Achilles and all before, Alexander presses on towards victory. With the aid of the Gods and those who would stand beside him, Alexander the Great moves those under his command towards greatness with an ultimate goal in mind: freeing the known world from barbarism and elevating them to the glory of Greece! Rise of an Empire is an Ancient Greek play-by-post RPG that travels through an AU version of Alexander the Great's military campaigns and life in the cities he conquers. The story begins in 331 BC moments after Alexander's army marches into Babylon and discovers the temptations of the temptress city. ROAE uses true characters from history, original creations, and main Gods of the Greek Pantheon and allows players to tweak them to fit the plot. Present and future decisions and events are AU and we encourage creativity in the historical timeline of events moving forward.